The sport of trike drifting continues to grow in popularity among extreme sports enthusiasts both young and old. 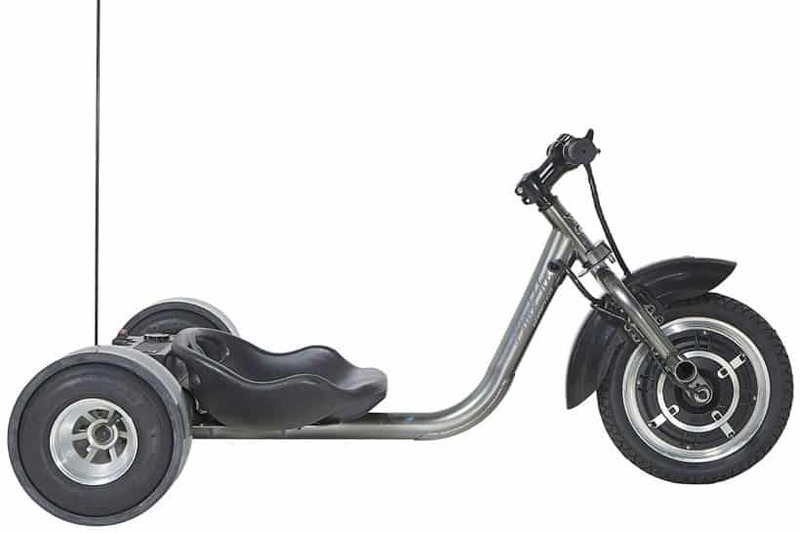 There are a number of great motorized drift trikes on the market. Today, we are going to take a look at Dynacraft and their electric powered drift trike called the Black Ice eDrifter. Who is this electric powered drift trike designed for? The Black Ice eDrifter is designed for riders ages 13 and older. What is the top speed of the Dynacraft Black Ice eDrifter? The top speed of this electric powered drift trike is 12.5 mph with a run time of 45 minutes. How much does this the Black Ice eDrifter cost? The Black Ice eDrifter Drift Trike is going to run you $350. You are not going to find another electric drift trike with this type of craftsmanship and ingenuity for less than this price! Check out the Black Ice eDrifter in Action! So what are you waiting for? Get your Black Ice eDrifter Today! Be sure to check out some of the other great drift trikes brought to you by Wild Child Sports! ScooterX Drifter Drift Trike – Drifting at 30mph!